Divorce can be complicated when children are involved, including aspects like custody decisions and child support where necessary. If you are going through the divorce process but have no children, you may believe that this takes away one of the layers of a “common” divorce by today’s standards. However, you may find that divorce is still a time-consuming and sometimes costly process regardless. Divorce can be a costly experience whether you have children or not. For instance, based on the data, spouses spend about $12,500 to completely resolve their divorce without children, whereas those with children could see a few thousand more to resolve other issues that involve their children. The fact is this: If you end up going to trial, you’re probably going to pay more, because this is where most of these costs come from. These cases incur more time with your attorney, as well as witness fees and many other hidden fees you may not have even thought of. The second element that is discussed is the time it takes to resolve the disputes. Unfortunately, those who do not have children still spend a lot of time in court every year resolving some of the biggest issues. You may run into overcrowded court calendars, time spent speaking with your attorney, and so much more. You don’t just go to trial right away – most of the time there are months spent preparing. No matter what, you should expect this part of the process to take a lot of time, and not everything will be perfect. 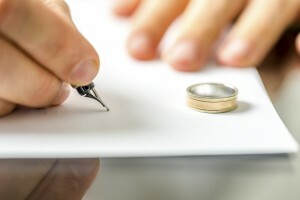 On the same hand, you should consider the fact that, even though you may not have child support issues, you may run into the issue of alimony. This in itself takes time and analyzing to come to a conclusion that works for you and your spouse. As you can see, no matter what, there are many trying elements to consider when going through divorce, which an attorney will be able to help you with. Childfree divorces are not without worry and stress, which is why, in any case, you should have an experienced attorney on your side to lessen the stress and walk you through the hard moments. Turn to us, whether you are dealing with a divorce that involves children or not. We are waiting to hear from you.